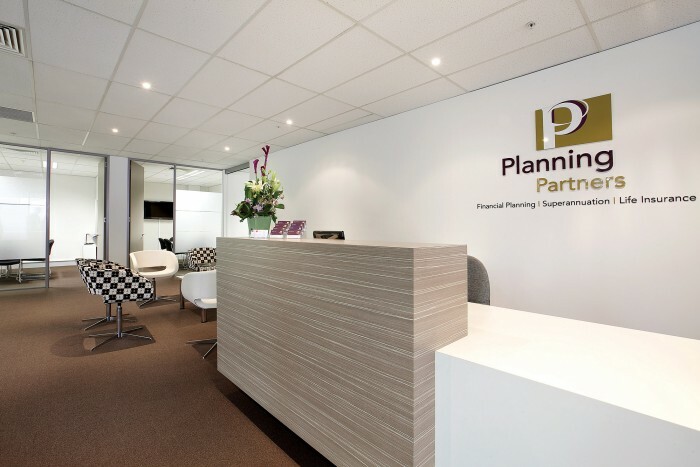 The new workplace for Planning Partners was a boutique sized fit out, approximately 490m2 in Camberwell. The client wanted a neutral and soft colour palette to match the base building natural timbers and abstract sculpture in the lift lobby. The front of house and boardroom was a combination of soft warm brown hues to compliment the accent green used throughout the back of house workstation area. The overall look and feel of the space was a honest, modern palette with offices along the perimeter, boardroom for 10 people, 2 small meeting rooms and a generous sized tearoom.